Following an increase in online business, Merlin Cycles decided to move to larger premises. Part of the reason for the move was that the current set up was over 2 separate smaller units and although they were joined, the work flow was disjointed. The new building was around 80% of the 2 units combined but with the 600m2 mezzanine floor we installed, it created a huge amount of space for them. 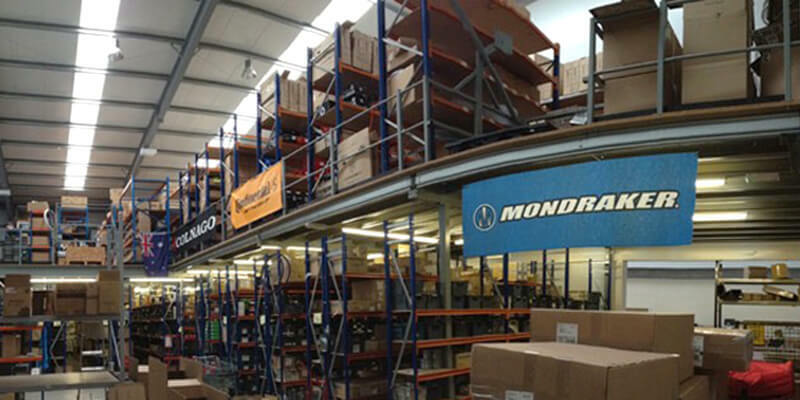 In addition to the mezzanine, we installed long span racking above and below the mezzanine for the client to store their vast array of cycling products which are picked and sent out from orders received on their impressive website.